EXTREMELY FINE. 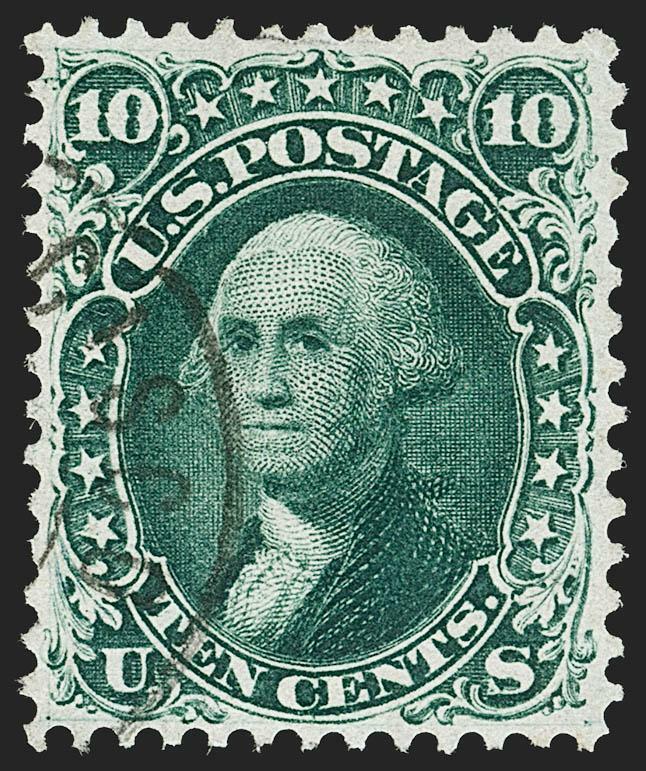 A SUPERB USED EXAMPLE OF THE 10-CENT GREEN FIRST DESIGN, WHICH IS ONE OF THE MOST DIFFICULT OF THE 1861 ISSUES TO OBTAIN IN SUCH CHOICE CONDITION. EXTREMELY FINE GEM. 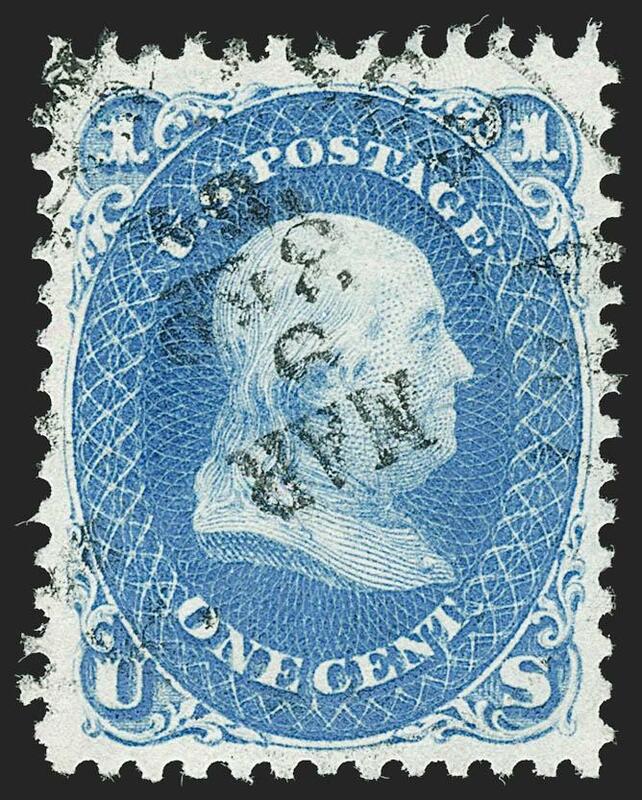 A SUPERB USED EXAMPLE OF THE ONE-CENT 1861 ISSUE, GRADED SUPERB 98 BY P.S.E. 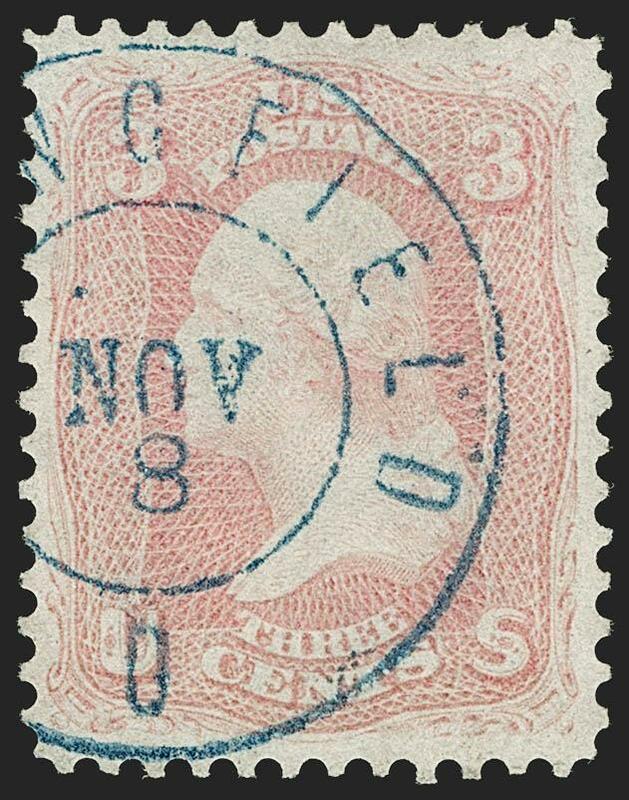 -- THIS IS THE HIGHEST GRADE AWARDED. EXTREMELY FINE. 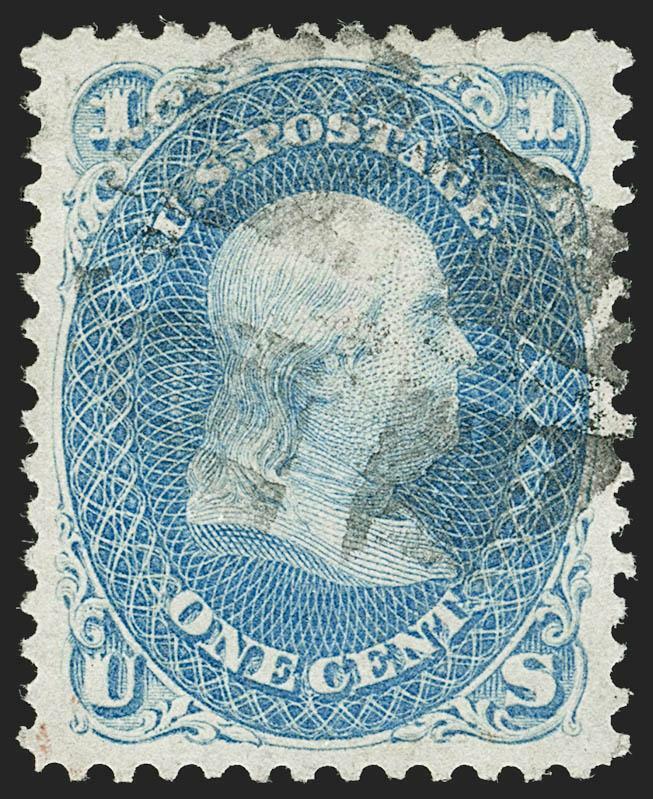 A BEAUTIFULLY CENTERED EXAMPLE OF THE ELUSIVE ULTRAMARINE SHADE OF THE ONE-CENT 1861 ISSUE. EXTREMELY FINE GEM. 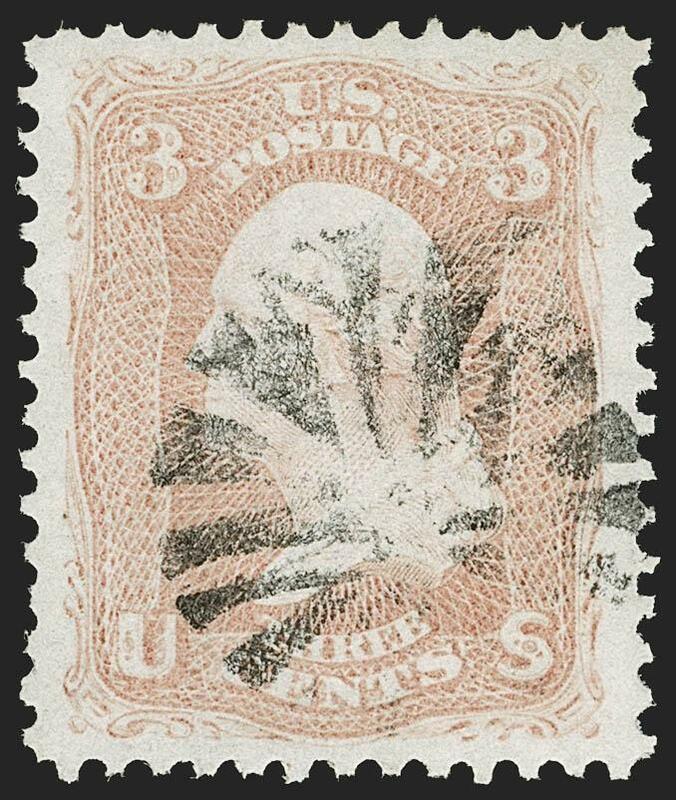 AN ABSOLUTELY STUNNING EXAMPLE OF THE EARLY PINK SHADE. A MATCHLESS COMBINATION OF QUALITY AND COLOR. EXTREMELY FINE GEM. 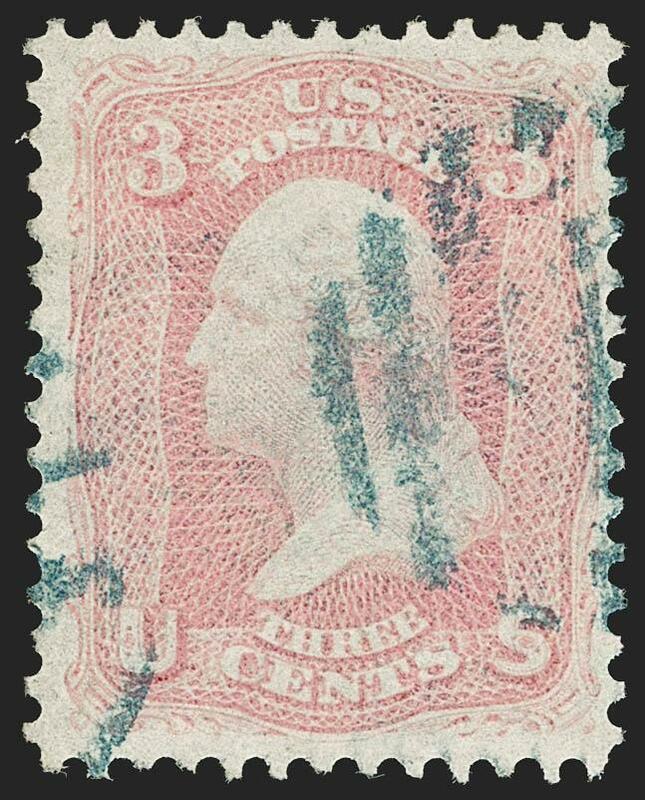 A GORGEOUS USED EXAMPLE OF THE 3-CENT 1861 ISSUE IN THE PINK SHADE. VERY FINE AND CHOICE. 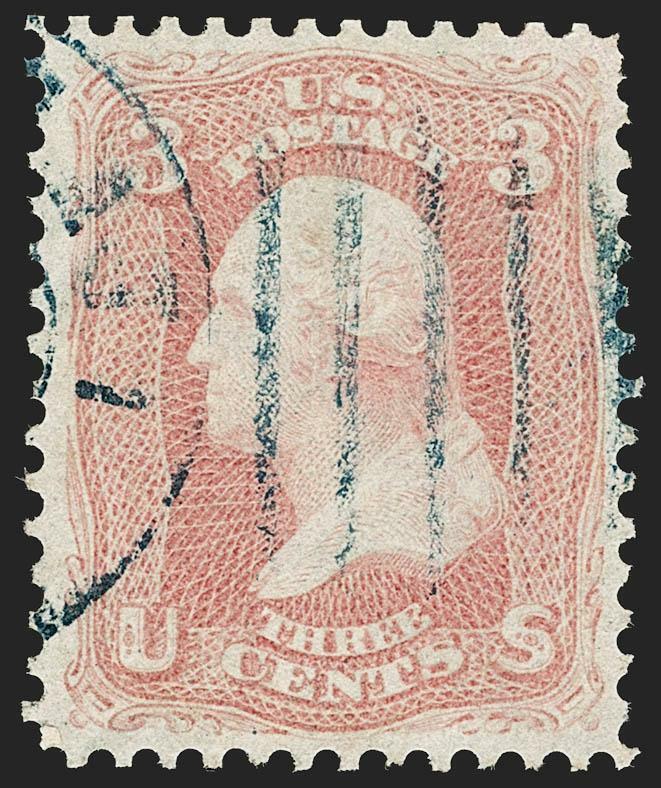 AN EXTREMELY RARE SOUND USED EXAMPLE OF THE 1861 3-CENT PIGEON BLOOD PINK, CANCELLED IN BLUE. 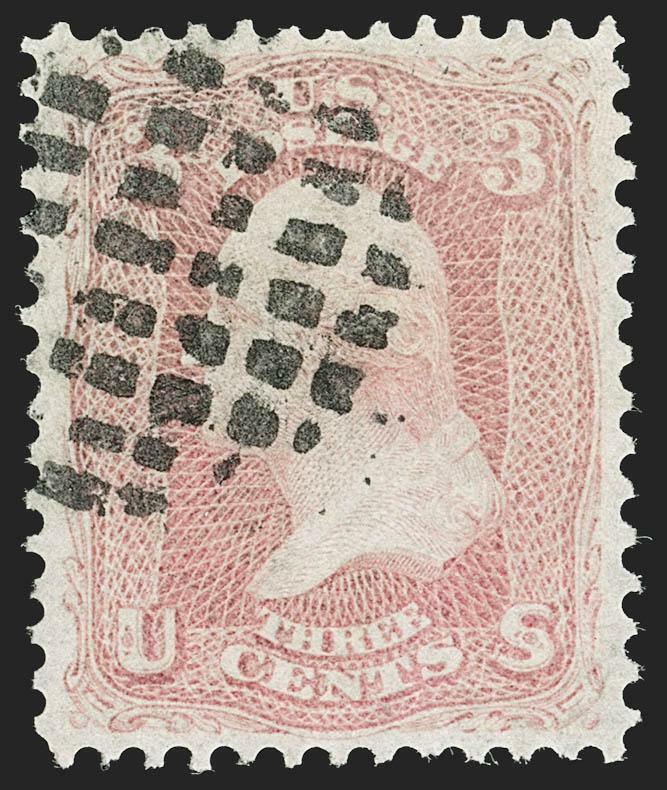 The Pigeon Blood Pink shade, named for the rare ruby, is regarded as the most distinctive and rarest of the Pink shades. 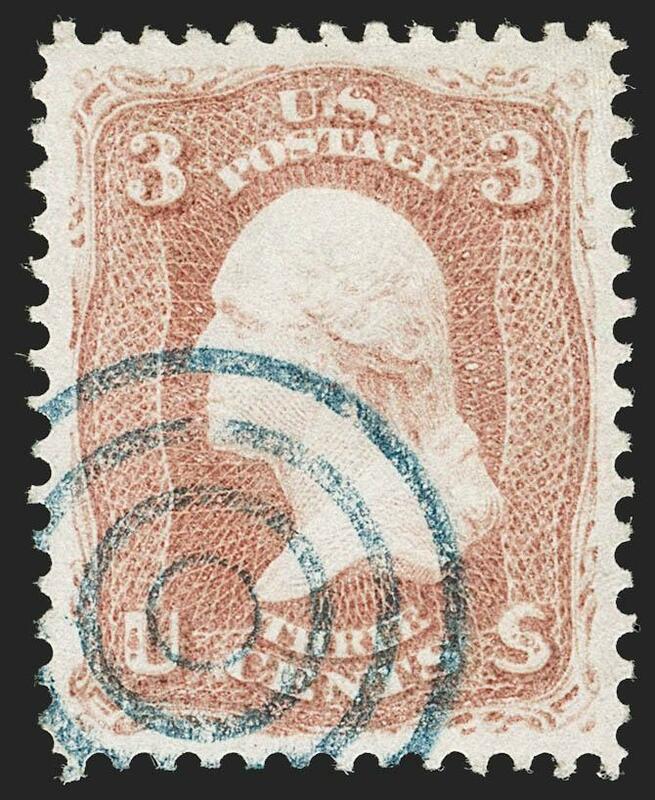 Unfortunately, the special bluish-pink tint of the true Pigeon Blood Pink is sensitive to light and other environmental factors. 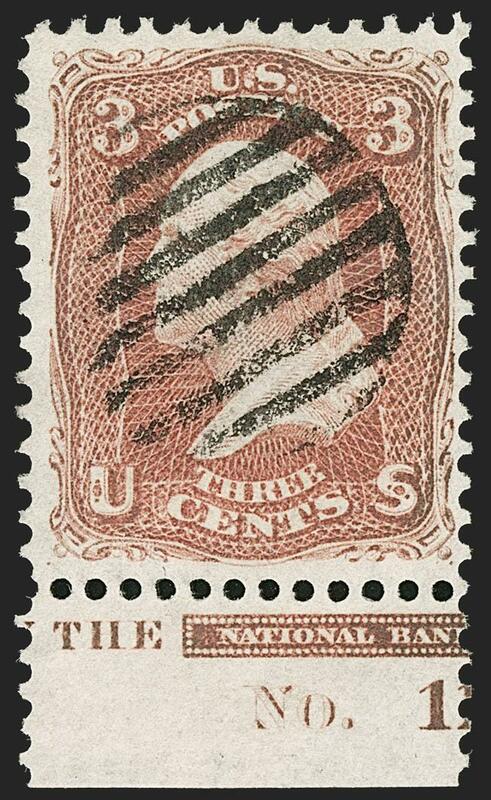 Therefore, examples kept in the dark over many years retain the true Pigeon Blood color, while others have lost it. 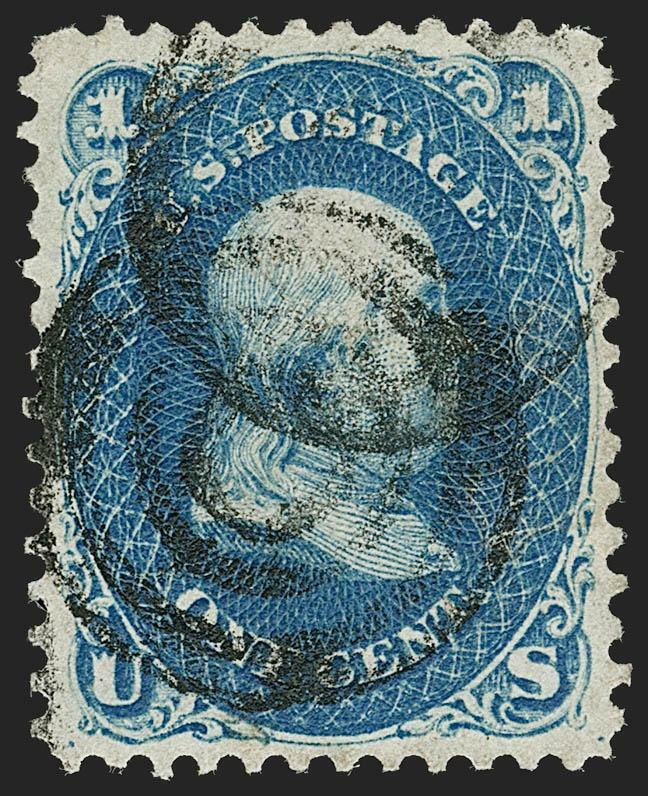 This example retains its vivid color.